Want to give your pet a new look but worry that there might be unforeseen consequences? 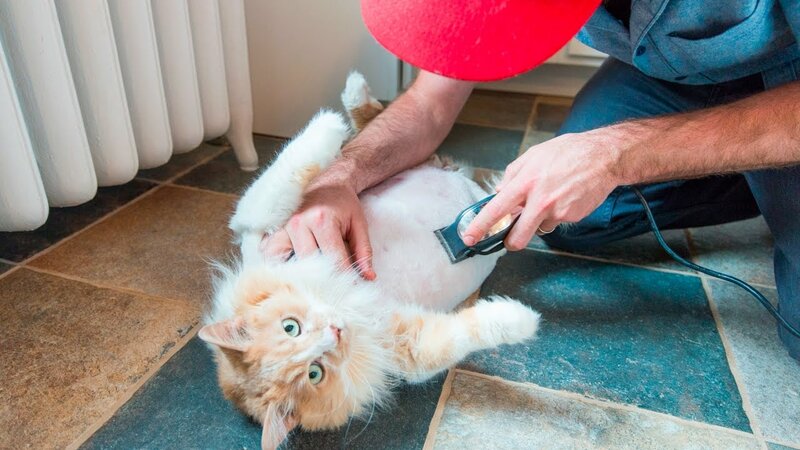 Check out what experts say about the "shaving cats: pros and cons". Once summer is about to arrive and your cat starts shedding to replace its coat, the amount of fur you run into is likely enormous. As you struggle to dispose of the hair of your pet, you ask yourself: "Should I shave my cat altogether?". A lot of pet owners have the same question and they often assume that shaving would solve various issues from matted furs to littered hairs. That being said, there are contrast opinions/suggestions when it comes to the subject of "shaving cats: pros and cons". Are the benefits outweigh the drawbacks after all or it's the other way around? You are considering to shave your cat but don't have a firm grasp on the effects of the action? If that is so, then this article right here should be of use to you. Down below is a comprehensive analysis of the advantages and disadvantages of shaving cats which cover everything you must remember about "shaving cats: pros and cons". Generally speaking, it's entirely up to you to make the call whether you could shave your cat or not. But with the help of the following information, it's simple to compare potential gains and the inherent risks of shaving. After you finish reading, you would be able to come up with a sensible choice. Before we talk about what happens in the aftermath of a shaving operation, it's worth noting cats from different breeds have different coat characteristics. That means there are pets with short fur, long fur, double layer fur and others. For most of the time, it's strongly recommended that you avoid shaving cats that have short coats as that cause more harms than goods. To a cat, hairs play an important role and that is to protect its soft skin from sunlight, abrasive elements, … Moreover, short hair cats are already able to properly regulate the temperature of their body. That is why if your cat belongs to a short breed, refrain from shaving it. Shaving: Is It Worth It? There are numerous debates and discussion related to the "shaving cats: pros and cons" subject but here is the summary. It goes without saying a shaved cat is not going to produce as much littered hair as a normal one. As a result, it's easy for you to manage your pet in shedding season. No one likes to see cat furs all over house and shaving is a great measure to avoid that scenario. While shedding in cats occur regardless of what you do with the coat, the amount of hair would be minimal. For pet owners that hate to deal with jam vacuum cleaners and fur-covered furniture, shaving is a life saver. Everyone knows that cats pay special attention to hygiene and they would spend hours grooming themselves from head to toe. But as these pet lick their body, they also swallow a lot of body hairs by mistake and in the long run, hairballs shall form. Needless to say, the balls of hairs cause considerable troubles to cats and in shedding seasons, hairballs incidents increase significantly. Among the way to ensure that your pet is safe from hairball issues in the near future, shave its coat is the most straightforward option. Senior cats, as well as cats that have issues with their muscle, tend to have a hard time grooming themselves. As time passes by, the extended lack of body grooming would have negative influences on the coat of such cats. In term of solutions, a trimmed coat should work wonders. You could keep the matted furs of your cat in check though saving and give it a neat appearance too. As your car gets older and older, periodic shaving might be the best method to supplement your old pal slowly-dismissing ability to groom itself. 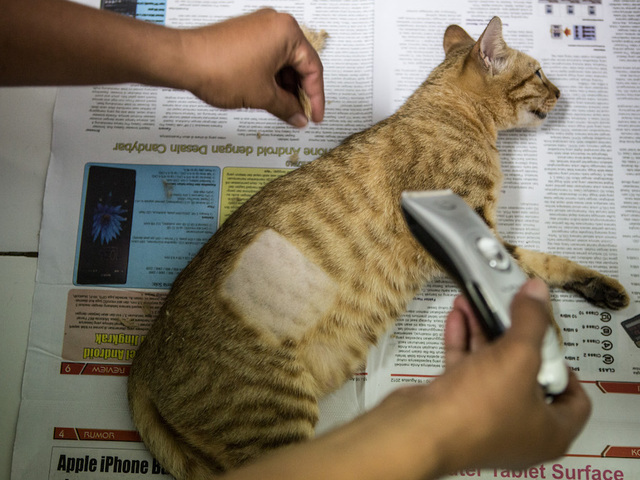 Cats hate to be touched/restrained by strangers so a shaving operation could traumatize them. In the aftermath of the shave, certain cats hide for days while attempting to cope with the new look. Additionally, some pets might even start to hold their human caretaker in a rather negative light because of the experience. As a result, it's widely advised that you take the temper and the personality of your cat into account. Don't push the cat too much as it would strain the pet – owner relationship. As mentioned above, the coat of your pet protects the underneath skin from potential harms and shaving the coat would leave the cat completely open. At best, shaving could lead to irritation and other skin related troubles. At worst, your cat might contract skin cancer. You should be able to minimize the risk by taking your cat to vet for examination once in a while and also ask for advice. But in any case, shaving exposes the skin of your cat to dangers and close observation is of utmost importance. And that is pretty much everything you must know about “shaving cats: pros and cons”. But are you confident that you could shave your cat without running into too many difficulties? If the answer is "Yes" then here are a couple of things you need to remember at all times. It doesn't take long for clipper blades to heat up and the high temperature might startle/hurt your cat. In order to tackle that, apply cooling lubrication the blade periodically through the shaving session. Since clipping the coat too close would leave the skin vulnerable, make sure that you stop once there is around an inch of fur left. Moreover, if you shave everything, the growth pattern of the cat hair might get erratic. 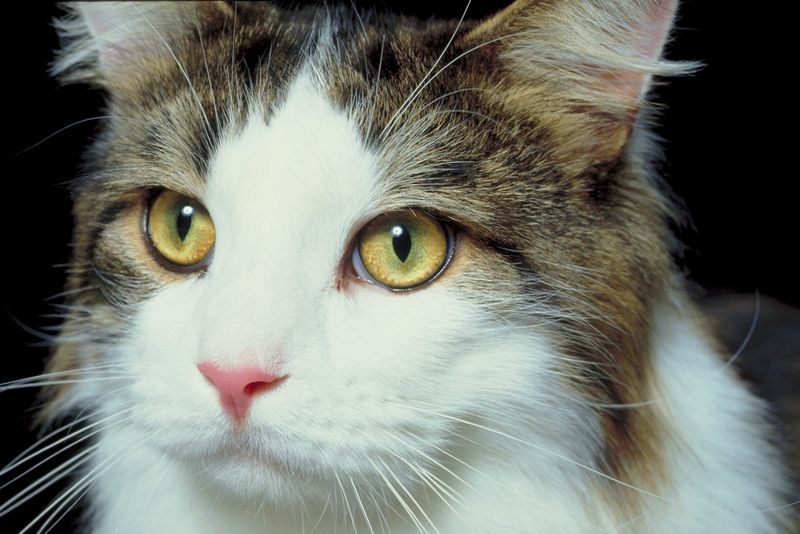 Cats that are suffering from overexposure to sunlight often have pink spots on their skin. In the case you detect pink spots on your cat, you should purchase anti-UV clothes to add additional protection.